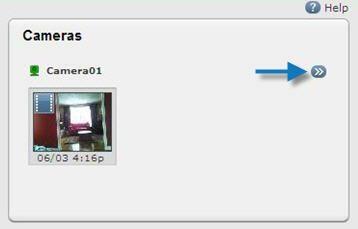 On Summary tab under the Cameras section, click the arrows icon. To control what camera to view, select the camera from the drop-down list. Click Capture Clip to capture a video clip.